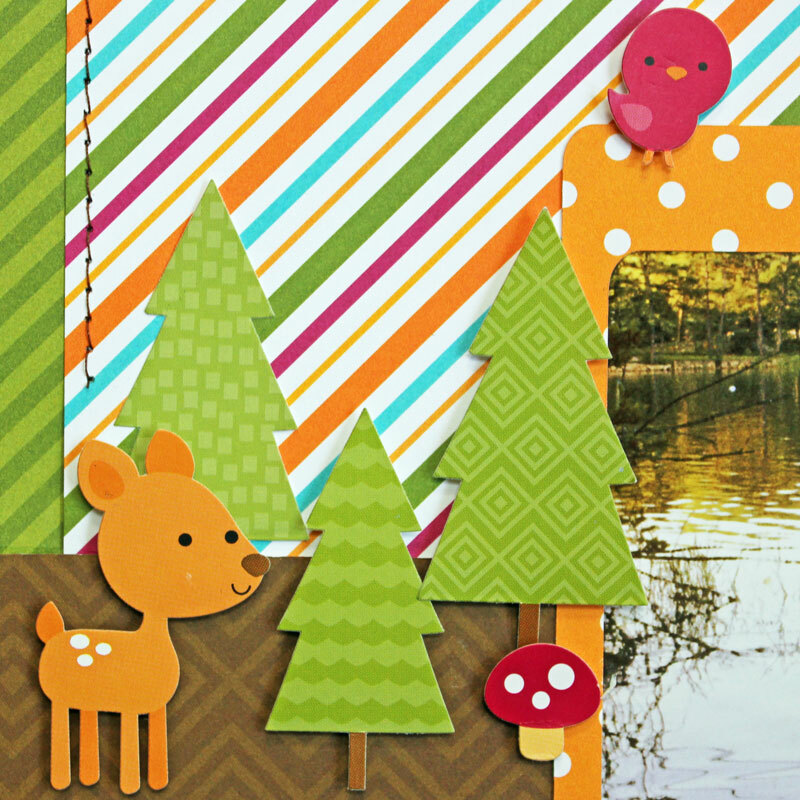 Hi Everyone, it's Kathy today with a couple of fun layouts using the new Happy Camper collection. I truly am not a camper, but in my younger years, we camped as a family all the time! I remember many a trip to Maine or Canada! We still have a lot of those pictures, many of which have us wearing trash bags (since it was sure to rain, and we always forgot rain gear!) but I did find some fun pictures to scrap! First off is my Go Fish Layout. This is me!! My grandmother lived on a pond and I used to love to take my Pocket Fisherman down to the water to catch some of the little fish! 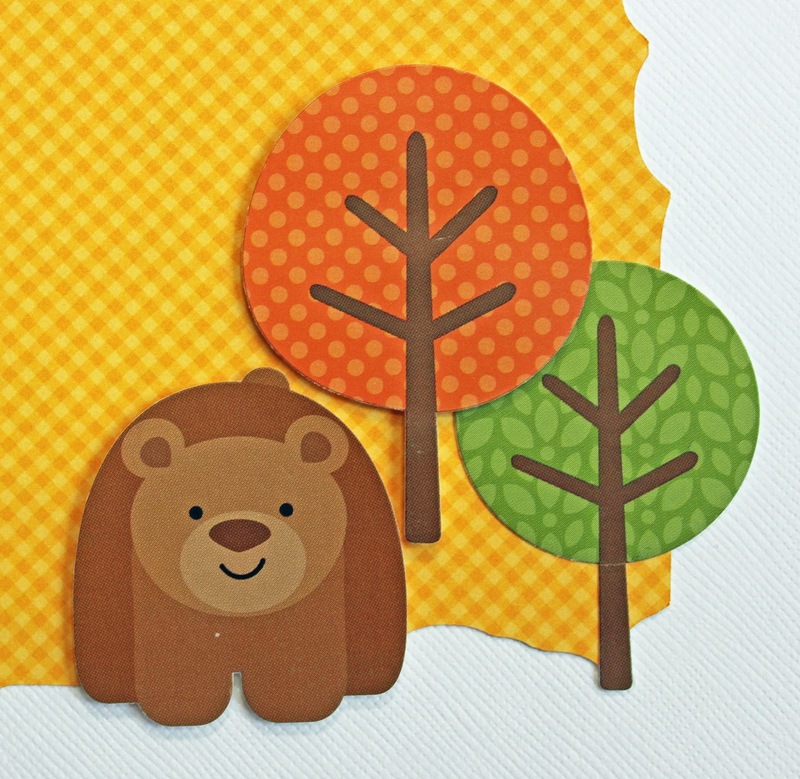 Happy Camper has some AWESOME Icon Stickers...it made it easy to create little "scenes." I was inspired by my fishing scene to create another "scenic" layout. 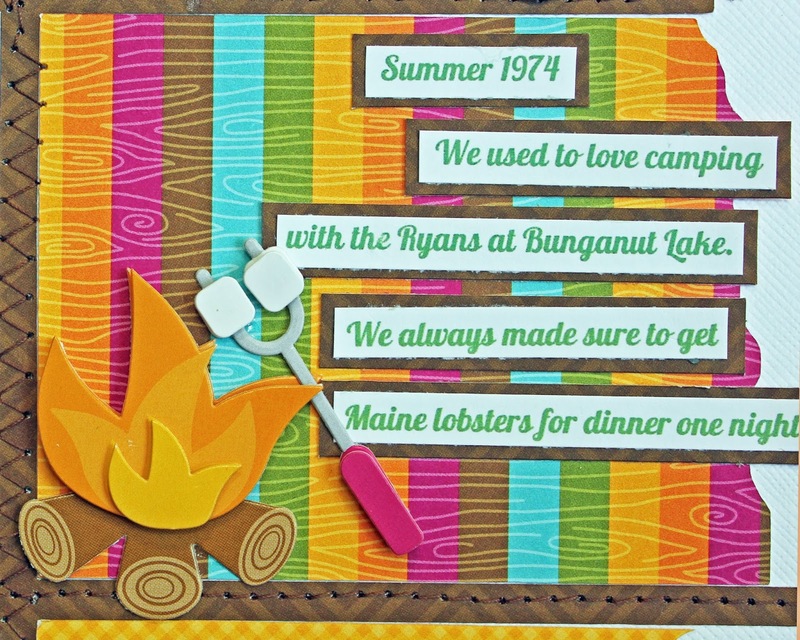 We often camped with the same family...and one of our favorite places was Bunganut Lake in Alfred, ME. We always made a point of getting some fabulous Maine lobsters for dinner! Here I am enjoying the lobsters, and later some S'mores! Again, I used the Icon Stickers and some Doodlepops to create small scenes. Now for a freebie!! I created a Silhouette file for the grid and "torn boxes" in my layout and I'd love to share it with you. You can download the file here. I hope you enjoy it!! That's it for me today. Make sure to keep stopping by to check out all of the Happy Camper inspiration from the team! Thanks for stopping by! F A B U L O U S layouts Kathy!!! 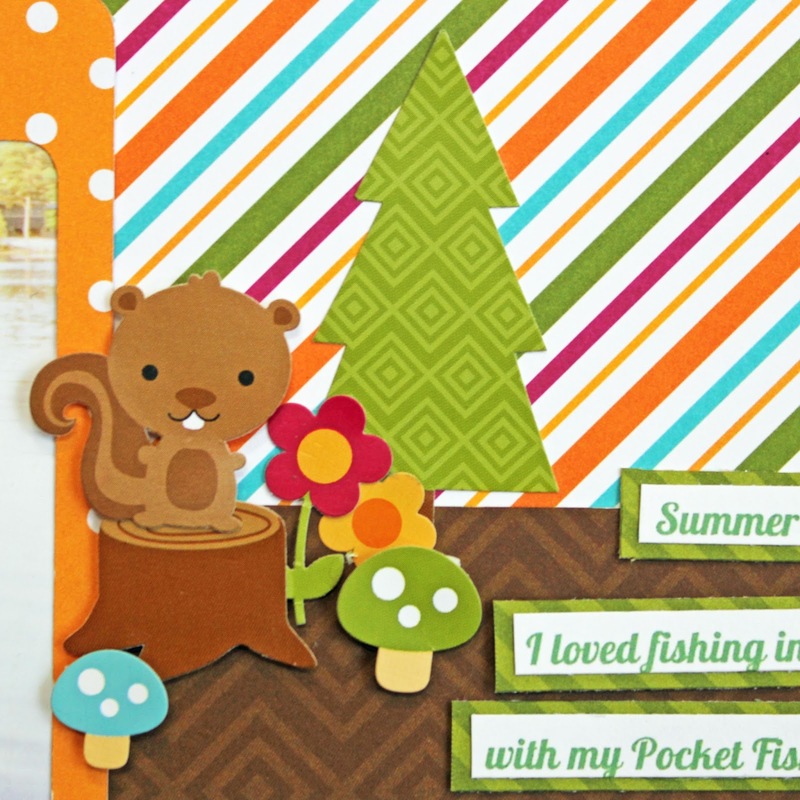 WOW - the design of your 1st page is AWESOME with the tree-lined pond and stitched fishing line - LOVE IT!!! LOVE the grid design of your 2nd page too, each window has a FUN scene :) How wonderful to have these old photos to scrap. They layouts are so adorable! I love them both. Can't wait to get this collection! Your layouts are fabulous Kathy. 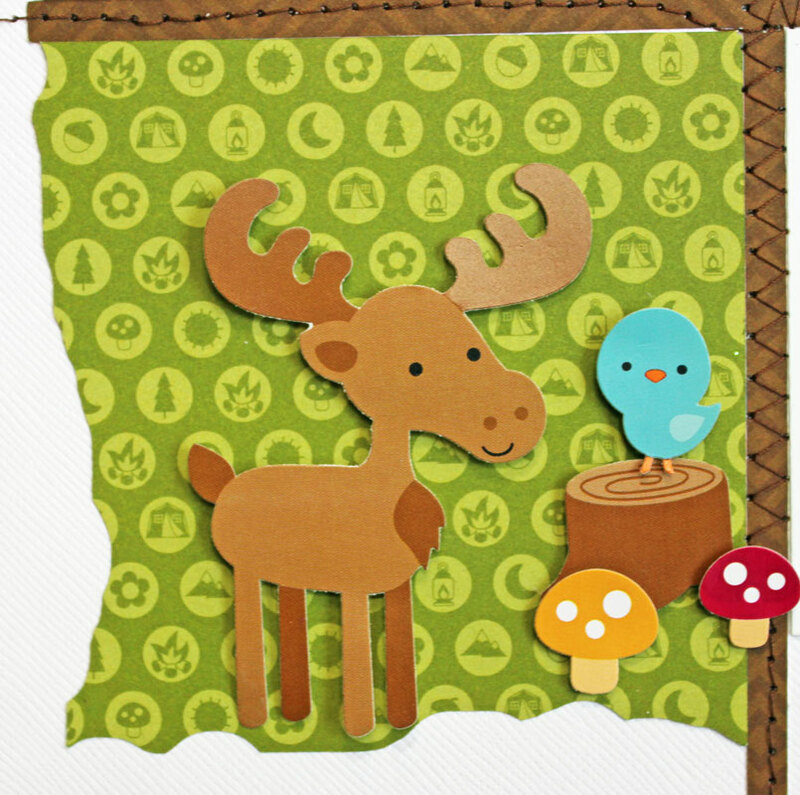 My favorite part is the adorable hand-stitched fishing line, so cute! Holy WOW!! That is so adorable what you did with the picture and the twine on your first layout!! Love the design of your other layout as well! I just love all the sweet little animal stickers! Totally loving these, Kathy! 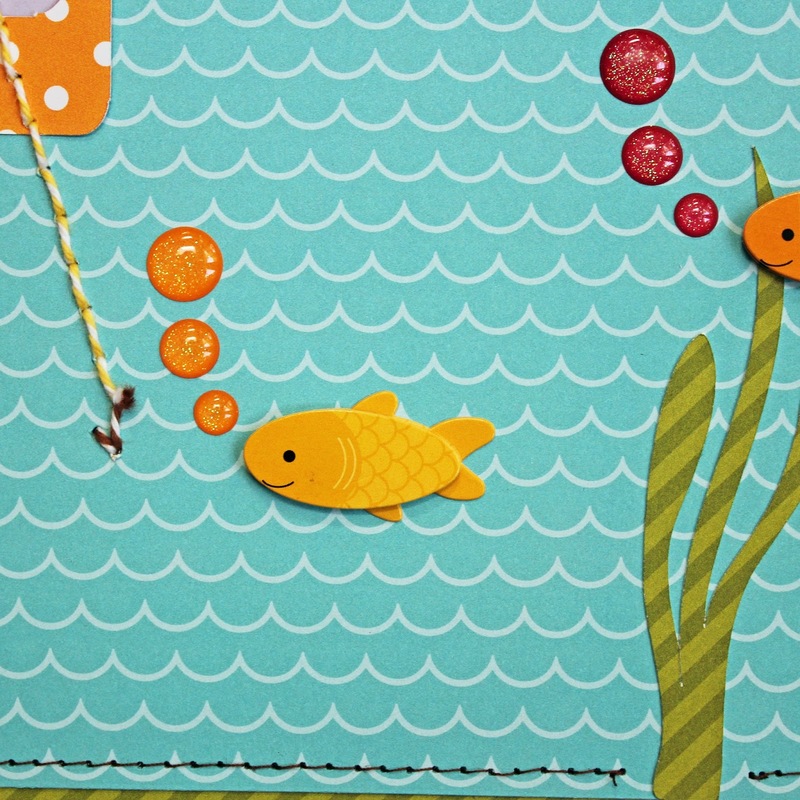 Such a fun idea to stitch the fishing line! Adorable layouts!!! PInned the fishing one! These layouts are so cute! I love the stitching, embellishments and grid pattern. Gorgeous layouts, love the scene on the first one and the scenic theme of the second one. All of the elements are just gorgeous. I have some pictures to print that would be perfect for this collection! Liked and shared on facebook! Love this camping collection! Adorable! And thanks for the cut file! These are awesome and Kathy really knows how to use Doodlebug products!! I am a little late to this party because my dad passed away and I have spent most of the last 2 weeks preparing for his funeral!! Thank you for creating a perfect collection to use when scrapping memories of him!! We spent many weekends camping in the summer over the years!! I hope I win this collection so I can scrapbook my cute daddy with it!!! Oh, I also shared this on facebook!! Thank you! !